AVX Corporation has just added 11 new frequencies to the firm's 0805 high-performance, low-pass LP Series integrated thin film (ITF) SMD filters. Now available in 700, 750, 780, 942, 1000, 1250, 1800, 1900, 2400, 2900, 3500, and 4000MHz variants, the 0805 filters are compact and low-profile — measuring 2.03 x 1.55 x 0.80mm ±0.10mm (l x w x h) — and exhibit low insertion loss and extremely sharp roll-off ideally suited for a broad range of high-frequency wireless applications including: satellite TV receivers, mobile communications systems, microcell and picocell base stations, GPS and vehicle location systems as well as wireless LANs. LP Series filters are based on proven thin film multi-layer technology, are ruggedly constructed for reliable automatic assembly, and are rated for 8W continuous power and operating and storage temperatures spanning -40°C to +85°C. 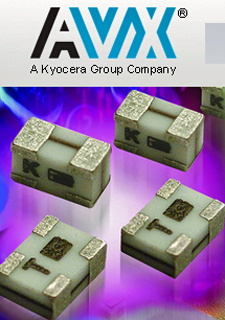 Featuring characteristic impedance of 50Ω and nickel/lead-free-solder (Sn100) coated terminations compatible with automatic reflow, wave, vapor phase, and manual soldering technologies, the RoHS-compliant LP Series filters are 100% tested for electrical parameters and both visual and mechanical characteristics, and are shipped on tape and reel. Ericsson (NASDAQ: ERIC) has presented Towards a 5G consumer future — the company's Consumer and Industry Insight report discusses the six calls to action from consumers that operators need to act upon to provide a foundation for adoption of 5G technology. The report, the biggest 5G consumer expectation study to date, represents the views of 800 million smartphone users worldwide. 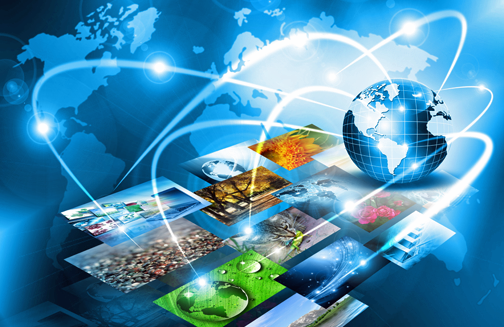 Consumers perceive the telecom market to be too complex. With six in 10 smartphone users grappling with the complexity of mobile data plans, there is considerable misalignment between what users buy and what they use. With only three in 10 smartphone users satisfied with the way their operator presents plans online, the digital telecom experience is neither simple nor effortless. Consumers aren’t counting on unlimited data plans, but they are looking for a sense of the unlimited. Peace of mind rather than actual use is the main motivator behind buying unlimited data plans and operators are urged to explore alternative ways to offer this feeling of freedom. The average smartphone user has 31 gigabytes of unused mobile data left over per year, enough to make 65 hours of video calls, spend 517 hours streaming music, or binge-watch six seasons of a TV show like Game of Thrones, equating to as much as 1.5 terabytes over their lifetime. Two in five consumers would like to use this excess as currency and expect to be able to save, trade or gift unused data. Faster broadband speeds and fair wireless contracts are considered more important than the data buckets that currently dominate the market. As bundled video content and innovative data plans play an increasingly important role in the choice of operator and service bundle, consumers want operators to innovate, evolve and personalize data plans. Contrary to the belief that consumers are uninterested in 5G, globally the idea of 5G services appeals to 76 percent of smartphone users; 44 percent are in fact willing to pay for 5G. Consumers expect most 5G services to go mainstream within 3 to 4 years of the launch and over 50 percent expect to be using 5G-enriched services within two years of the launch. Over a third expect 5G to offer capabilities beyond speed, network coverage and lower prices: improvements such as better battery life and the ability to connect not only devices but also the Internet of Things. Consumers also predict an end to paying for gigabytes consumed and instead expect to pay a single fee for each 5G service or connected device. Moving toward a 5G future, consumers are calling on operators to avoid baseless marketing slogans and instead focus on real network experience, increasing the honesty of their marketing. The report shows that only four percent trust operators’ own advertising and network performance statistics. The insights in the report are based on Ericsson ConsumerLab’s global research activities of more than 20 years and draw on data from a survey of 14,000 iPhone and Android smartphone users aged between 15 and 65. The views expressed in the survey are representative of 800 million consumers across Argentina, Brazil, China, Egypt, Finland, France, Germany, Indonesia, Ireland, Japan, Mexico, South Korea, the UK and the US. For more detailed information, please download the full report here. Interra Systems' end-to-end QC and monitoring systems are now interoperable with AWS Media Services, including AWS Elemental MediaConvert, AWS Elemental MediaLive, and AWS Elemental MediaPackage, enabling video providers to reliably deliver premium live and on-demand content to consumers by leveraging cloud technology with the utmost efficiency, speed, and cost savings. AWS Media Services offer pay-as-you-go pricing, making it easy for video providers to ingest, process, package, and deliver video content at scale. AWS Elemental MediaConvert offers video providers a video transcoding service with broadcast-grade features, allowing for easy creation of video-on-demand (VOD) content for broadcast and multiscreen delivery at scale. AWS Elemental MediaLive is a broadcast-grade live video processing service and works in combination with AWS Elemental MediaPackage for content origination, just-in-time packaging, and encryption. AWS Elemental solutions used with Interra Systems' BATON® QC and ORION™-OTT monitoring solutions enable end-to-end video quality assurance by providing comprehensive QoS and QoE measurements. ORION-OTT is a complete monitoring solution that checks content integrity and related network performance of adaptive bitrate content. The solution also supports passive monitoring of the origin server performance and the service on end-user devices to understand recurrent issues and their causes. BATON is a premium, next-generation hybrid QC platform available both on-premises and in the cloud, which supports a wide range of media formats and offers comprehensive quality checks, including extensive data verification, audio language detection, PSE correction, and loudness detection and correction. BATON's powerful Media Player for frame-accurate review, rich QC analytics, and smart workflow tools are designed for the industry's leading video providers. BATON's scalable architecture lets users expand their BATON set up as their QC needs grow, offering solutions designed to improve business continuity even if some of the hardware components break down. 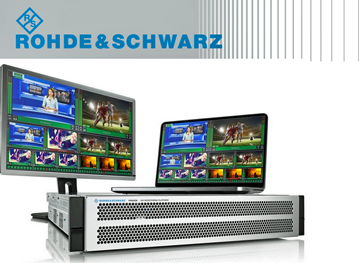 Rohde & Schwarz has announced the successful completion of a project at German broadcaster RTL II that sees the R&S® PRISMON IP-based platform provide comprehensive AV content monitoring and multi-viewer facilities on a new and radically different OTT channel playout. The broadcaster has a progressive approach to enabling technologies and is happy to pioneer the adoption of the latest IP-based technologies. By Integrating R&S PRISMON within a Nevion VideoIPath SMPTE 2022-7 video routing system and a HMS channel-in-a-box server, RTL II can playout a linear content stream with commercial spots delivered by an internet-based ad server. The stream can be viewed on iOS and Android devices as well as on Fire TV and browsers. The App enables time-shift and direct access to RTL II’s VOD section. For the first time RTL II’s OTT channel playout and monitoring is to be entirely IP-based: R&S PRISMON supports 2022-7 signals as well as OTT and TSoIP streams, such as UDP and HLS. This facility means that as RTL II expands its OTT services, its staff can monitor and control a range of broadcast signals and internet streams on the same device without any external converters. This helps RTL II to ensure that all its media outputs – both broadcast and OTT – are high quality. In the event of R&S PRISMON detecting an error in the main channel, it is easy for the broadcaster to switch to a back-up playout server. R&S PRISMON is an IP-based convergent monitoring solution for broadcast and streaming media/OTT. It offers multi-standard support including SDI, SDIoIP, AIMS/SMPTE 2110, TSoIP and OTT upload/download. Its future-ready, fully software defined architecture enables innovative, powerful monitoring functions such as LiveQM and Content Compare. The platform features an orchestration-ready design for dynamic and flexible resource allocation in virtual environments. R&S PRISMON is available both on scalable IT hardware platforms and for cloud deployments.